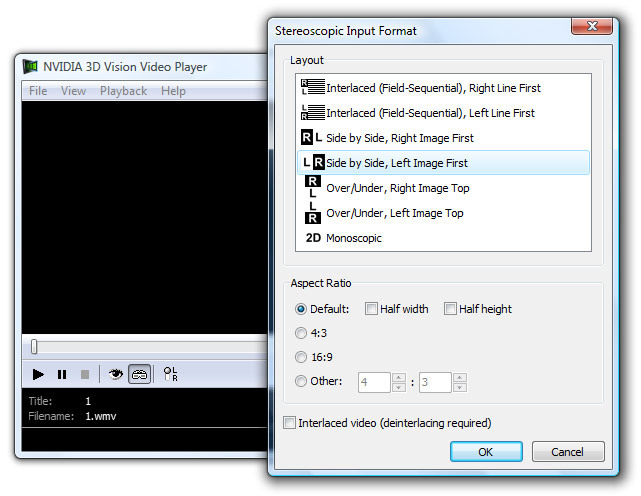 I’ve already written about the interesting DirectShow 3Dfier filter that is doing quite well with realtime conversion from 2D video to stereoscopic 3D. 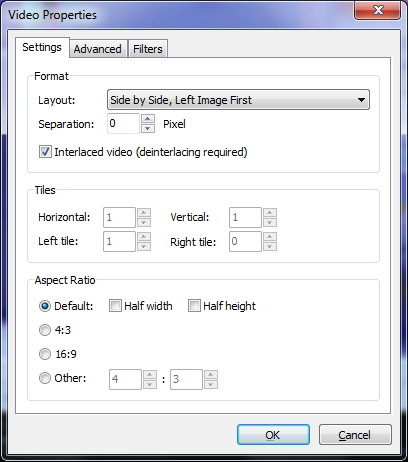 After playing a bit more with the filter I was able to make it work with live TV feed coming from a TV tuner, but I had to use the Stereoscopic Player instead of Nvidia’s 3D Vision Video Player as only the first one supports the Live Video mode for use with TV tuners and other video capture devices. 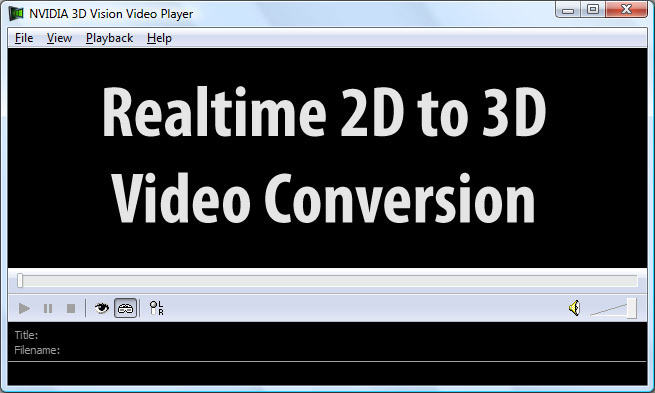 That said I should also note that I was able to make things work with NVidia’s player too, but with a bit of workaround which is making it a bit harder and not so convenient. 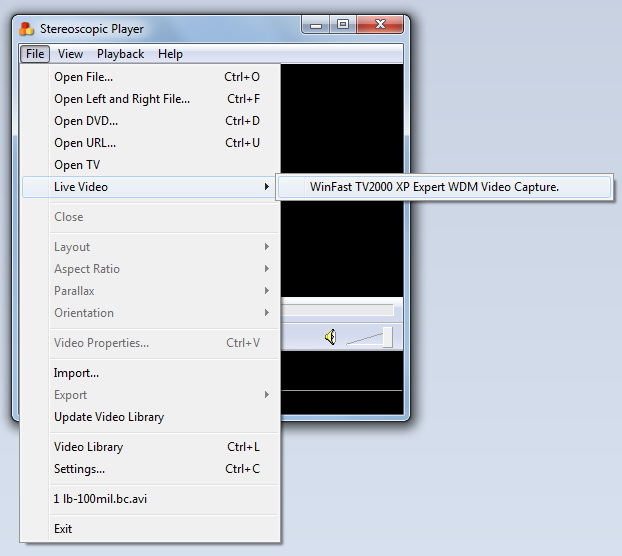 If you use VideoLAN (VLC) for capture of the live stream from the TV tuner to a file and then open the video file in 3D Vision Video Player you are still good to go, but with just a little bit of a delay. 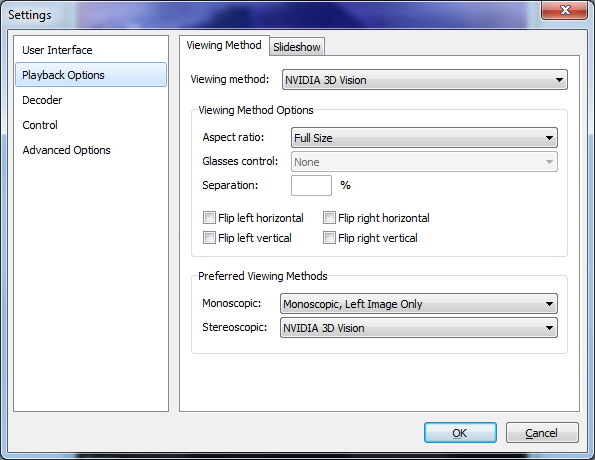 And since the Stereoscopic Player is a multipurpouse stereoscopic 3D video player that supports much more than what Nvidia’s player offers, you’ll have to open the File menu and then Settings in order to configure the player to use 3D Vision as a viewing method. For best results you’ll need higher quality, preferably HD videos, but even low quality clips might still look quite well when converted… and you can as well try some DVD Videos you have. 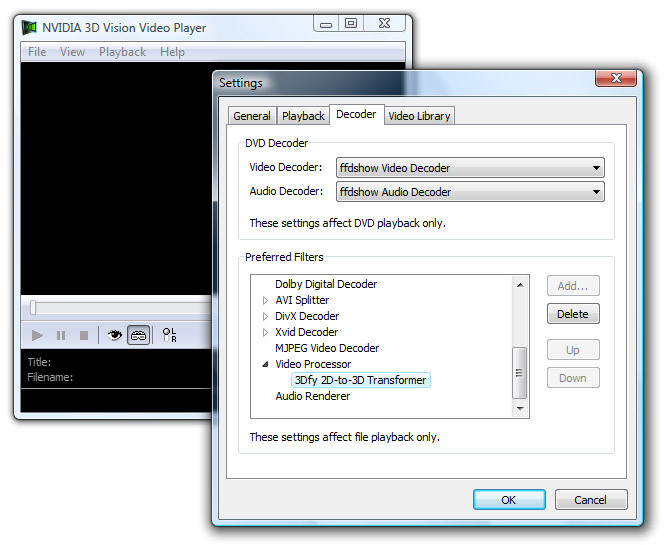 One of the issue you’ll face is that you’ll have to remove and then add again the filter in the settings every time you decide to watch 2D or true stereoscopic 3D movies as with the 3Dfier loaded things will get a bit messy when you try to open a stereoscopic video file. 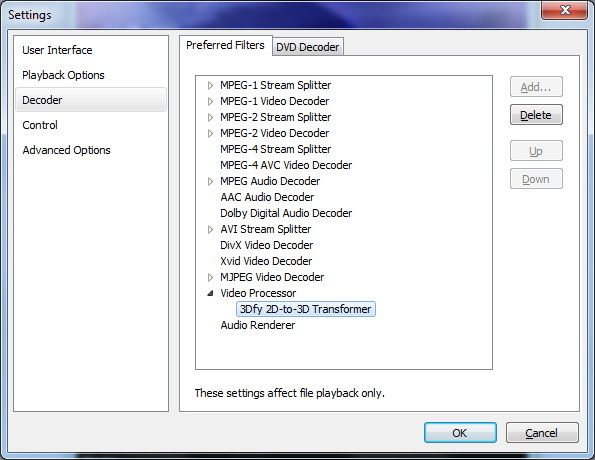 Also if you use a Media Player Classic and maybe some other players for normal video playback you might notice that the filter is automatically loaded when you open a movie and you see it side by side. This is something you can manage to fix, but you’ll have to play a bit with the filter settings for the player. And please do not forget to share your experience and comments should you decide to test what was described in this guide.